Eating healthy is never one size fits all. Our bodies are so different, all with various needs and quirks to attend to. So while a seemingly healthy food can be recommended by nutritionists and dietitians, it may not be right for you. We spoke with Steven Gundry, MD, a top heart surgeon and author of The Plant Paradox; Christopher Calapai, an NYC board-certified expert in osteopathic medicine specializing in longevity; Keri Glassman, a registered dietitian and the founder of Nutritious Life; along with Luiza Petre, a weight-loss-management specialist and board-certified cardiologist, to find out which otherwise healthy foods should be avoided, particularly if you're concerned about a heart condition. "Diet is a major player in affecting heart health and can lead to many ailments, fast-tracking to heart diseases like obesity, high cholesterol, hypertension, and diabetes," explains Petre. "The common offenders in American diets are the high content of sugar fructose present in more than 80% of supermarket foods. While initially it was believed that fat was the main heart disease trigger, it turns out that sugar is a much worse player. A lot of foods that are advertised as healthy contain too much salt, have a high glycemic index, or hold other villains that sabotage our heart health." Keep reading to find out what they are, and prepare to be a teeny bit surprised. We were. Gundry explains, "A ripe banana's starch instantly converts to sugar in your bloodstream, making it the ultimate heart-unhealthy fruit." Calapai agrees: "Bananas are high in carbohydrates and raise the triglyceride." Instead, try blackberries and pomegranates, as "they're low in sugar and contain potent, disease-fighting antioxidants such as polyphenols," says Gundry. "The antioxidants in these fruits are unique in that they are both water- and fat-soluble, meaning they can travel from the bloodstream to brain cells, with dramatic implications to brain vitality." "Soy contains a compound called phytoestrogen, which works like estrogen. Too much of it can disrupt your adrenal and thyroid glands," explains Gundry. In addition, many people are allergic to soy and have a difficult time digesting it. "Spaghetti squash is a better alternative," suggests Calapai, as it can taste like noodles in your favorite dish. "There is a correlation between nightshade and inflammation in your joints," explains Calapai. "It doesn't occur in all people, but if you have a reaction, you should definitely avoid it." Instead, try portobello mushrooms. Gundry says, "They have that same meaty texture without all those lectins. Portobellos, baby ones especially, are a powerhouse of nutrition with vitamin D, antioxidants, riboflavin (a source of vitamin B important for energy), and copper." According to Calapai, you can also have zucchini, squash, and peppers. "Greek yogurt is usually made from American cow's milk, which contains a harmful protein called casein A1. It acts as a powerful agent to damage your intestines, pancreas, and promotes leaky gut and mucous formation," Gundry says. "As an alternative, try sheep, buffalo, or goat yogurt, as they make casein A2, a perfectly safe milk protein." 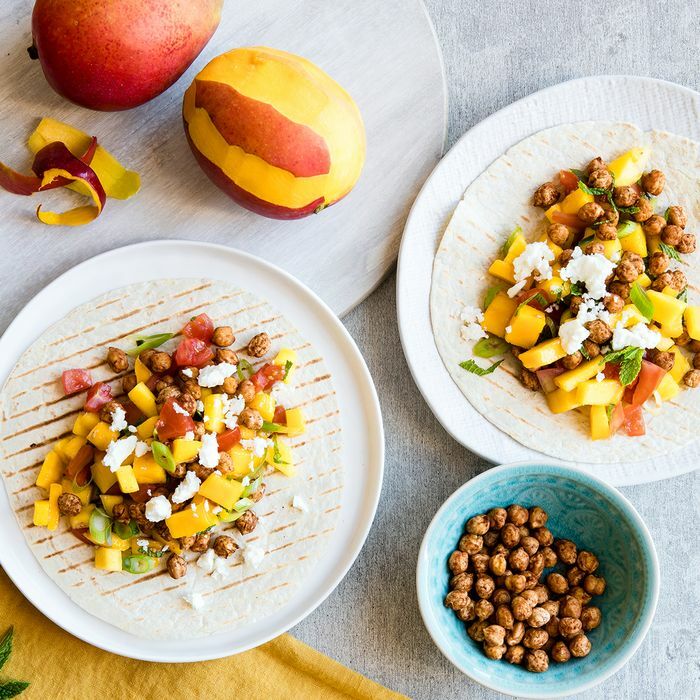 Beans are loaded with lectins—a protein produced in plants as a defense mechanism from getting eaten—which cause serious damage to your digestive system, notes Gundry. "Also, the CDC states that 20% to 30% of all 'food poisoning' cases in the U.S. come from the lectins in undercooked beans." Calapai adds: "Beans are indeed very high in carbohydrates and sugar. However, I would argue that beans can cause inflammation, but in some cases, they may not." Our advice? Try them and see how you feel. To be safe, though, it might be best to include soaked pine nuts in your diet instead. Gundry recommends a half-cup of raw pine nuts for every cup of cooked beans; just let them simmer in whatever you're cooking. "They mimic cooked beans and are loaded in protein to keep you full," he says. Calapai also suggests squash, as it has a ton of minerals like potassium. "Most grains, be it the 'healthy' type or not," Gundry says, "are loaded in lectins that wreak havoc on your gut, causing weight gain and digestive problems." Another shocking fact? According to Calapai, "rice has been known to carry arsenic. In fact, a lot of grains are genetically modified, and that can cause serious gut problems." Gundry suggests millet, a gluten-free alternative that cooks similarly to rice (and is loaded with probiotic fiber and protein). Calapai, on the other hand, says, "In truth, people don't really need grains. You can get everything you need with vegetables. [I've found] when I take grains out of my patients' diets, they end up feeling healthier, lose a few pounds, and even have clearer skin." According to Glassman, homeade dressings have a lot of hidden ingredients like vegetable oils, trans fat, sugar, and preservatives. "Many bottled store-bought dressings contain this," she explains. "Many display ingredient labels filled with cheap, highly processed, inflammatory oils. The low-fat or fat-free options are packed with sodium and too much is bad for blood pressure and heart health. They also contain sugar, which studies have shown that excess intake can increase risk of heart disease." Instead, try making homemade dressing to avoid additives. "If buying store-bought dressing, stick with brands that have the fewest, whole food ingredients," explains Glassman. Fruit juice is full of additives and excess sugar. Glassman explains that most fruit juices are stripped of the fruit's natural fiber, and results in unwanted blood sugar spikes and crashes. "Some studies even show that they can result in higher blood pressure, which is overall associated with cardiovascular disease," she confirms. Instead, she suggests a heart-healthier option like a smoothie with lots of veggies, healthy fats, and fiber. And if you're a regular juicer, listen up: "While juicing can be low-calorie compared to chips and sodas, it is still a very concentrated source of calories and has a higher glycemic index compared to eating the fruit alone," warns Petre. "For example, a cup of pineapple contains about 83 calories, while a cup of pineapple juice contains 120 calories. You might not realize how much sugar you're consuming when you drink fruit juice. In fact, eight ounces of apple juice contain 29 grams of sugar, whereas eight ounces of cola contain only 27 grams of sugar. The truth is that juicing diets load you with empty calories. A better option is blending the whole fruit into a smoothie to allow the ingestion of healthy fibers. Fibers do slow down sugar absorption and decrease the glycemic index. Research shows that whole fruits are more beneficial than juice for preventing diabetes and help satisfy daily fiber requirements." "Instead of fruit juice, add HumanN SuperBeets to supplement your normal routine," suggests Glassman. "It's packed with antioxidants and optimal levels of nitric oxide, which naturally promotes healthy blood flow, blood pressure, and circulation. Simply having a scoop mixed with water every day can provide these benefits and help contribute to your hydration." You know all those "heart-healthy" breakfast cereals you see in grocery stores? Be wary of them. "Just because it has this label, doesn't equate it to healthy," Glassman warns. "Cereals are notorious for hiding processed, refined sugar amongst their ingredients. Again, sugar not only provides little to no nutritional value, but elevates blood sugar, and excess intake contributes to an increased risk of health issues, obesity, and heart disease." Petre also warns against cereals advertised as healthy. "While many brands carry the stamp of the American Heart Association due to their fiber content, cereals are loaded with sugars and refined carbs," she explains. "Added sugar is one of the worst modern diet ingredients. Another downside is that they are loaded with GMOs, preservatives, pesticides, and artificial dyes. Deceptive advertising and strong industry lobby made this product a standard breakfast of American children." Try homemade granola instead as a healthy breakfast option with minimal sugar. Think organic cane sugar, brown rice syrup, agave syrup, coconut sugar. These things are supposedly viewed as healthy but affect your blood sugar the same way sugar does. "Here are facts: Ounce for ounce, agave is much worse than sugar," says Petre. "Sugar contains substantial amounts of fructose, which, when consumed in excess, cause extensive metabolic problems. Sugar is roughly 50% fructose and 55% high-fructose corn syrup. Agave is composed of even more, up to 70% to 80%. Natural isn't always healthiest." 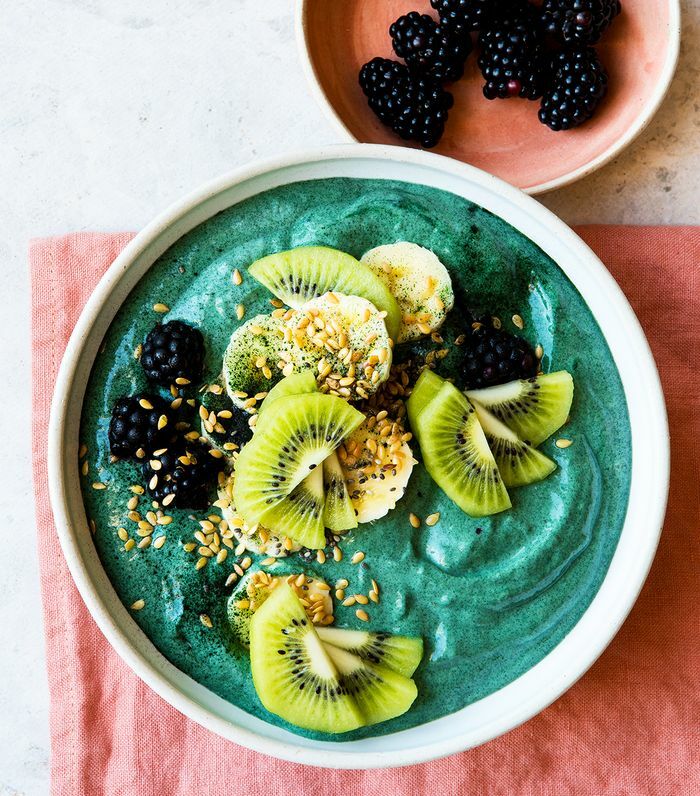 Glassman advises to skip sugar altogether or use a very small amount of organic stevia, or use fresh fruit to add natural sweetness to your meals, like this chia jam, she says. Petre suggests adding plenty of leafy greens like kale, spinach, and collard greens to your diet. "These are a wonderful source of vitamin K, which promotes blood clotting and protects arteries," she explains. "They are also a great source of nitrites, which enhance the role of cells lining the blood vessels, decrease blood pressure and lessen arterial stiffness. Research has shown a link between consumption of more leafy green vegetables and a lessened risk of heart disease." Petre wants you to think of avocado as a fruit packed with essential nutrients. "This super-densely nutritious food is a healthy fat loaded with fiber and phytochemicals and helps stabilize blood sugar, has more potassium than two bananas, and a low glycemic index improving insulin resistance. Phytonutrients, polyphenols and flavonoids fight inflammation in the body." So yeah, avocado is top-tier for your heart. According to Petre, wild-caught fish are rich in healthy unsaturated fats, which improve cardiac health, cholesterol level and reduce inflammation. The best for your heart are wild-caught salmon, mackerel, sardines, rainbow trout, herring, and anchovies. "Artichokes are packed with vitamin C, making them an antioxidant superfood," explains Petre. "Artichokes are packed with fiber, which can lower blood pressure and blood sugar levels while protecting heart health, preventing inflammation and reducing bad cholesterol (lipoprotein). Cynarin rids the body of cholesterol by increasing bile production in the liver." It's easy to say to avoid these foods altogether, but Petre breaks down very important points on how each of these can be a barrier to your heart health below. Whole-wheat bread: "Shockingly, whole-wheat bread isn’t made from the healthy grain it used to be made of. Modern whole-wheat bread has the same glycemic index as white bread, as the grains have been ground into very fine flour causing blood sugar spikes. Today’s modern wheat has been genetically modified, now causing increased cholesterol levels and inflammation. What passes for whole wheat now is best avoided." Bananas: "Bananas are recommended for their high potassium content, which is important for a healthy heart. Unfortunately, bananas are also loaded with 23 grams of sugar. This turns into irritability, cravings, and eventually weight gain. Much richer sources of potassium are avocados, spinach, and mushrooms." Diet drinks: "Because they are sugar-free, many prefer them as a 'healthy' substitute. However, sugar-free” drinks come loaded with aspartame. While low in calories, studies have shown that aspartame is associated with weight gain and linked to cancer. Aspartame might prevent a key gut enzyme from playing out its role in breaking down fat during digestion and interferes with healthy intestinal flora. If you must use no calorie sweetener, chose something with Stevia." Peanut butter: "Often perceived as a healthy food due to its healthy-fat content, common products available are also filled with fructose/corn syrup, salt, and hydrogenated oils among many other processed ingredients. High-caloric load makes peanut butter unsustainable for someone who is watching their waistline. Luckily, healthy, organic, sugar-free versions are available for peanut butter lovers." Gluten-free pastries: "These are shockingly similar to white breads, with some brands of gluten-free pastries containing even more calories. 'Gluten-free' doesn't necessarily mean low carbs or low glycemic index." Protein bars: "Avoid reading only the front wrapper; delve into the actual composition of ingredients on the back label. It is not unusual for some to contain up to 30 grams of sugar, which is more than a candy bar. Other varieties are packed with partially hydrogenated oils, food coloring, high-fructose corn syrup, sugar alcohols, and artificial sweeteners. Additional ingredients to keep out of your cart are soy that is not marked GMO-free and maltodextrin that is stored as fat and palm oil, which contains high levels of saturated fat. These protein bars should be avoided at all costs, as they add empty calories with lab created ingredients that can cause weight gain, allergies, and digestive distress. A healthy replacement for protein seekers and gym addicts is bone broth." Energy drinks: "These are typically packed with sugar, electrolytes, caffeine, and even novel ingredients such as ginseng, taurine, and L-carnitine that claim to boost energy, performance and attention. In reality, the excess sugar, caffeine, and electrolytes cause more harm by raising blood pressure and stress hormones, while also delivering extra calories." Dates: "Although often perceived as healthy fruits, these have the highest glycemic index at 103, meaning their sugar goes very fast straight into blood stream triggering the vicious cycle of insulin stimulation." Next: Here's exactly what to eat for a healthy brain.